The team made their way out to Oak Lawn this past Thursday and was able to talk with local, Cook County business owners about energy efficiency. We were able to go into lots of really wonderful businesses and create personal connections with people who needed our help. We were able to stop into some truly yummy spots like Frankie's Ristorante, Simply Sweet Creations, and Premo's Drive-In (we know, we are all of a sudden hungry, too). It was great being able to tell business owners about the program and how we could help them. The best was when we talked to one business owner who was about to swap out all his lights to LEDs and had never heard of the program before. When he realized we could do all his lighting for him for much cheaper because of the rebates AND do all the labor he was amazed. Seriously though, never pay full price for energy efficient updates and do all the work yourself, that's just silly. The day was coming to an end and the team needed some fuel for our debrief about the day (fuel = delicious beer almost always if it's not coffee). Making our way back north, we bunkered down at 5 Rabbit Cervecería and completely fell in love with the spot. This brewery has huge, open space to sprawl out and some of the most beautiful art our team has seen. The staff was friendly and welcoming and there were a plethora of games available to play. The team all got a variety of beer and let us tell ya, you will not be disappointed (the beer was so good we just had to go for round two, some of us three). 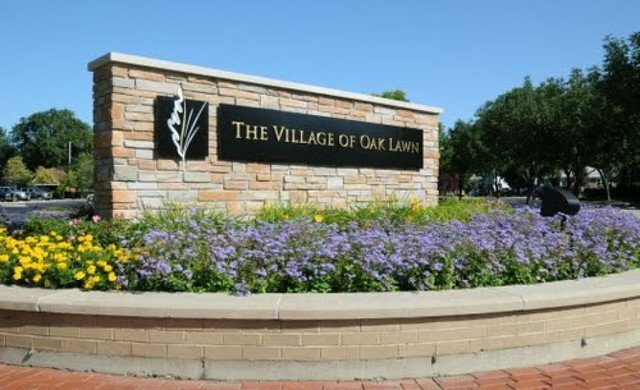 Thanks for the hospitality, Oak Lawn. Until next time! Did you know we crafted an energy efficiency checklist for businesses and that it's free to download? Find hidden savings within your business ASAP.